Based on the hit TV show and guided by videos of cast members and real-life forensic scientists, you'll perform realistic CSI tests like matching DNA, examining bullet casings and identifying single strands of hair. Hopefully you'll solve the murder before it's too late. CSI: The Experience is located in the Underground across from Brad Garrett's Comedy Club Ticket Office. This is the pathway from the hotel lobby to the parking garage. Follow the signs for the Underground to the left of the hotel doors. Walk down the escalator and pass Pieology. Brad Garrett's Comedy Club and Ticket Office will be on your left and CSI: The Experience will be across from the ticket office. 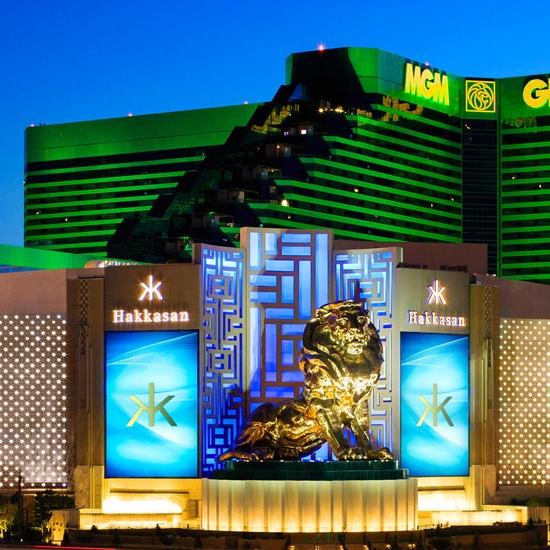 As you walk into MGM Grand from Las Vegas Boulevard, walk toward Hakkasan and TAP. Continue walking straight through the casino floor past the Poker Room, David Copperfield Theatre, M life Desk and Whiskey Down to the hotel lobby. Once in the lobby, follow the signs for the Underground to the left of the hotel doors. Walk down the escalator and pass Pieology. Brad Garrett's Comedy Club and Ticket Office will be on your left and CSI: The Experience will be across from the ticket office. For group reservations of 15 or more, please call 702.891.5739 or email at destiny.hepner@ems-entertainment.com. CSI: The Experience is recommended for ages 12 and up. Children under 12 must be accompanied by an adult.